Our Domed Pewter Button features a burnished, aged look. 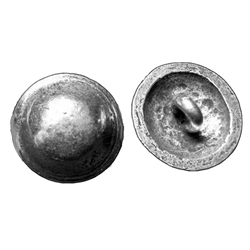 Each button has a sturdy shank on the back to attach to your garment and measures 7/8 of an inch in diameter. Cast in lead free pewter in the U.S.